Between February 3 and March 15, 2010 NTEN, Common Knowledge, and ThePort Network surveyed 1,173 nonprofit professionals about their organization’s use of online social networks for the second annual Nonprofit Social Networking Benchmark Report. When asked about the size of their commercial social network communities, survey respondents indicated an average of 2,440 members on Facebook, a sizeable drop (55%) from the 5,391 member average Facebook community size reported in 2009. At first glance, this drop would seem to indicate that nonprofits are getting fewer supporters on Facebook and therefore less value.Yet upon further inspection, it becomes clear that many new nonprofits are coming onto the Facebook platform. 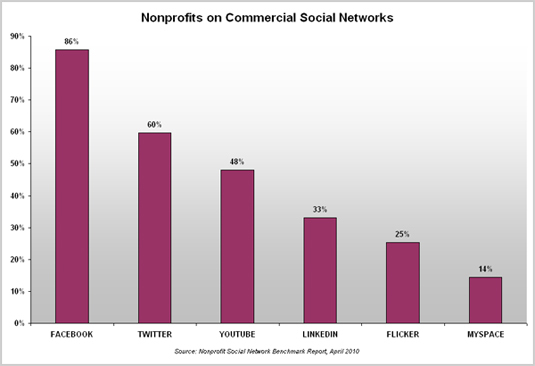 Nonprofits reporting a presence on Facebook increased by 16% in the last year. Thus, the dip in average Facebook community size is likely more a result of the many new nonprofits coming onto the platform that are building an audience but have not had sufficient time to accumulate a large base of support. Stated simply, an influx of new Facebook-focused nonprofits that have yet to build a big audience is skewing the average community size downward this year. In contrast,Twitter showed a large increase in average community size, increasing 627% to 1,792 (286 in 2009). 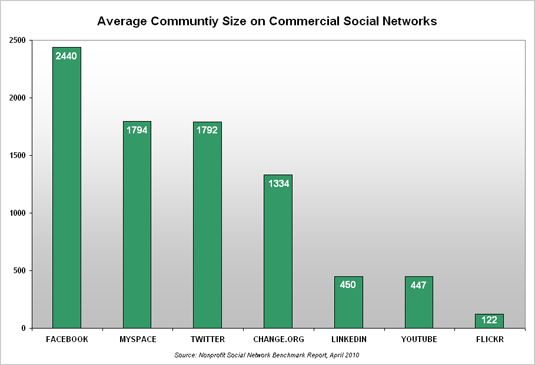 Community sizes also increased on LinkedIn from 291 to 450 and on YouTube from 268 to 447. MySpace average community size, however, dropped from 1,905 in 2009 to 1,794 in 2010. Respondents reported community sizes on Facebook ranging from 1 to 250,000 fans, but 96% of the communities were 10,000 members or less with three very large communities of 214,000+ members skewing the average. Remove these three outliers, and the average community size on Facebook is 1,773 members. The nonprofit-specific social network, Change.org had an average community size of 1,334, a large increase (449%) from last year (243 members in 2009). How does your website measure up? Not sure? Take advantage of our Complimentary-No Obligation Analysis of your web site or download your free copy of our Website Planner Workbook. Go to any website and you’re guaranteed to find one thing: a navigation menu. The navigation menu is possibly a website’s single most important component; it allows visitors to, well, navigate your website. With anything you should start with a plan. We use a Navigation Tree Diagram to easily layout our navigation. It helps you decide what pages go together, which pages are top level, sub-level and/or secondary. While there are no rules for laying out your navigation, I use one rule of thumb. Visitors should be able to get where they want in no more than 2 clicks. 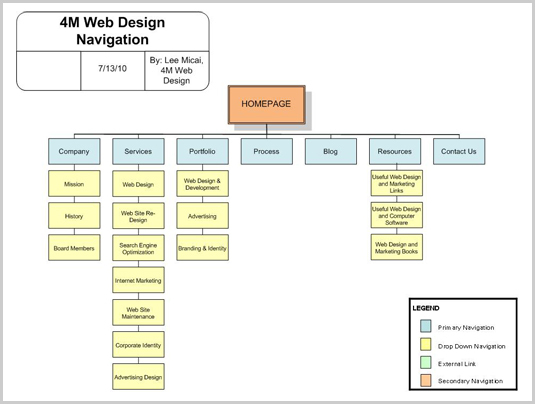 Below is an example of a site navigation tree. 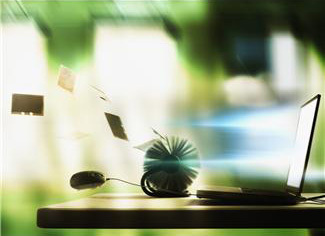 Your main page to your website is where “Home Page” is written on the top box. In the boxes below write the pages that your website will contain. Each box shows a single page from your website. If this is a redesign of a website, you can place the pages you currently have on your existing website, then cross out the pages that you would like removed and add any additional pages. To properly layout your navigation we designed a blank Navigation Tree Diagram you can download. Enjoy! By a large margin, Facebook continues to be the most popular commercial social network with 86% (74.0% in 2009) of respondents indicating their organization has a presence there, an increase of 16% year-over-year. In tandem, the use of Twitter has increased by 38% in the last year, moving from 43.2% in 2009 to 59.7% in 2010. Usage of YouTube rose to 48.1%, up slightly from 2009 (46.5%), while LinkedIn followed at 33.1% (basically unchanged from last year). While commercial social networks continue to appeal to nonprofits overall, there is one exception. The past market leader,MySpace, dropped from 26.1% in 2009 to 14.4% (or a drop of 45% year-over-year). 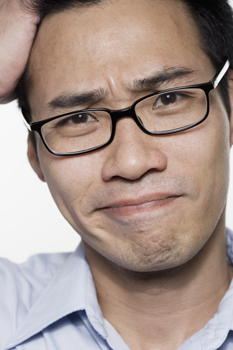 How does your website measure up? Not sure? Take advantage of our Complimentary-No Obligation Analysis of your web site or download your free copy of our Website Planner Workbook.